Safety & Health Expo 2018, the UK’s largest health and safety event and conference, will take place this year at ExCeL London on 19-21 June. Following the success of 2017’s event, the Safety & Health Expo team have been in close conversation with the profession to ensure that this year’s show is full of fresh, inspirational ideas as well as the innovative solutions needed to move your health and safety practices forward. In proud partnership with NEBOSH, HSE, IOSH and RoSPA, the Safety & Health Expo is driving this shift within the profession, acting as a catalyst for a more inclusive approach and serving the profession in an increasingly holistic and effective manner. Showcasing top health and safety solutions from 300+ UK and international suppliers, visitors can source from a range of behavioural safety, risk management, training and occupational health products and services from trusted names including Traka, Mascot International, Draeger, Evac+Chair, Ikar GB, RRC International and Safety Media. 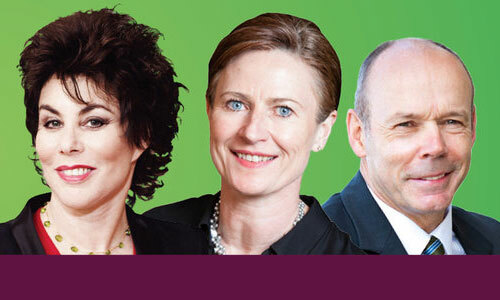 We’re proud to introduce an incredible line-up of aspirational speakers including comedian and mental health expert Ruby Wax OBE, Nicky Moffat CBE and Sir Clive Woodward OBE, who’ll take to the stage to deliver fascinating, diverse talks on the need for positive professional environments, communications, conditions and challenges and how to sustain and grow a healthy, happy, high-achieving workforce. Plus there’ll be strategic, topical debates including discussions on ISO 45001, sentencing guidelines and prosecutions and Carillion’s collapse, to name just a few. The new Occupational Health & Wellbeing Zone will have a dedicated seminar theatre sponsored by Acre, and a relaxation zone – plus visitors will be able to take part on yoga classes in the heart of the show. Hear industry leaders share their personal stories on mental health and wellbeing and why it’s so important for organisations today. Discover how to create your own culture of wellbeing to eliminate stress, increase resilience and give your business a real competitive advantage. Here you’ll find all the ‘do’s and ‘don’ts’ of occupational health and risk assessment, including a look from an HSE perspective. Seminars include ‘Making business and safety even better’, ‘Accident investigations, ‘The migration from OHSAS 18001 to ISO 45001’ and ‘Working at height: lessons learnt from recent incidents and prosecutions’. Supporting leaders and future leaders of the profession, seminars are focussed on career development and qualifications, soft skills and behavioural safety and culture. With plenty of case studies up for discussion, this theatre will address best practice in lone worker health and safety. This year Safety & Health Expo will play host to the Professional Clothing Show Awards, the RoSPA Awards, and the SHP Rising Star Awards, which return for their fourth year. Tap into the latest thinking and advice from our experts. Each day the clinic will feature a morning and afternoon seminar on topical legal issues. Over lunchtime, lawyers from Turnstone Law and 2 Hare Court will be on hand to answer all your health and safety legal questions in a free, round-table discussion. Leicestershire Fire and Rescue Service are using VR Technology to give drivers a totally immersive look at a pre-crash environment, giving them the chance to spot causation factors through to the actual accident. Try it out and learn about other applications for VR in health and safety. Back due to popular demand, the Professional Clothing Show will once again form a key part of the event, actively showcasing new and innovative workwear inclusive of footwear, gloves, badges and ties alongside PPE solutions. The PCS fashion show will give the chance to see innovations from leading suppliers demonstrated by catwalk models. As well as the latest solutions on the market, Safety & Health Expo will offer CPD accredited seminars covering the latest legislation and guidance updates, with tips on creating a positive safety culture and successfully embedding health and safety within your organisation.